This builds on from the previous post creating points at specified distances along a line. Here, we create perpendicular chainage ticks that traverse the main line. ## but it works and is fast! The output is a linear feature class containing chainage ticks and distance attribute. Please leave comments if this can be improved or if you found it useful. The Standard Distance, also know as the Standard Distance Deviation, is the average distance all features vary from the Mean Center and measures the compactness of a distribution. The Standard Distance is a value representing the distance in units from the Mean Center and is usually plotted on a map as a circle for a visual indication of dispersion, the Standard Distance is the radius. The Standard Distance works best in the absence of a strong directional trend. According to Andy Mitchell, if a directional trend is present you are better off using the Standard Deviational Ellipse. You can use the Standard Distance to compare territories between species, which has the wider/broader territory, or to compare changes over time such as the dispersion of burglaries for each calendar month. In a Normal Distribution you would expect around 68% of all points to fall within the Standard Distance. The mean x-coordinate is subtracted from the x-coordinate value for each point and the difference is squared. The sum of all the squared values for x minus the x-mean is divided by the number of points. This is also performed for y-coordinates. The resulting values for x and y are summed and then we take the square root of this value to return the value to original distance units. For Point features the X and Y coordinates of each feature is used, for Polygons the centroid of each feature represents the X and Y coordinate to use, and for Linear features the mid-point of each line is used for the X and Y coordinate. I’d like to give credit to Logan Byers from GIS StackExchange who aided in speeding up the computational time using NumPy and for forcing me to begin learning the wonders of NumPy (getting there bit by bit). Running the script from The Code section above calculates the Standard Distance for burglaries in Birmingham for 2016 and creates a polygon feature class in the File GDB. As always please feel free to comment to help make the code more efficient, highlight errors, or let me know if this was of any use to you. The unweighted center is mainly used for events that occur at a place and time such as burglaries. The weighted center, however, is predominantly used for stationary features such as retail outlets or delineated areas for example (such as Census tracts). The Weighted Mean Center does not take into account distance between features in the dataset. The weight needs to be a numerical attribute. The greater the value, the higher the weight for that feature. The Weighted Mean Center is calculated by multiplying the x and y coordinate by the weight for that feature and summing all for both x and y individually, and then dividing this by the sum of all the weights. I downloaded the Small Areas of Ireland from the CSO. You will have to acknowledge a disclaimer. The data contains population information for the 2011 Census. 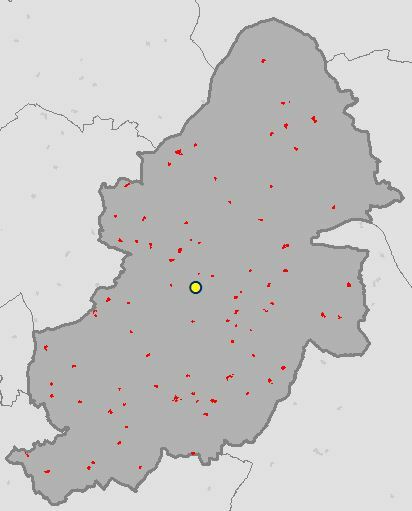 Once downloaded unzip Census2011_Small_Areas_generalised20m.zip to working folder. Running the script from The Code section above calculates the Weighted Mean Center of all Small Areas based on the population count for each for 2011 and creates a point Shapefile as the output. 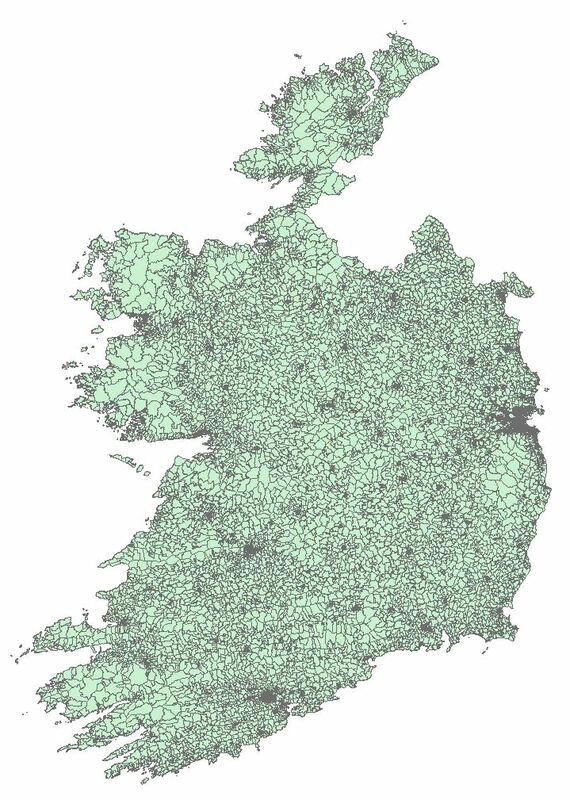 Here we will look at the general makeup of a downloaded spatial dataset – a Shapefile from the Central Statistics Office in Ireland containing census data from 2011. We will look at getting the spatial reference of the file along with a breakdown of the field names, type, width and precision. We can print the top ten records or the entire attribute table and get a list of unique values for a field and the count of each. 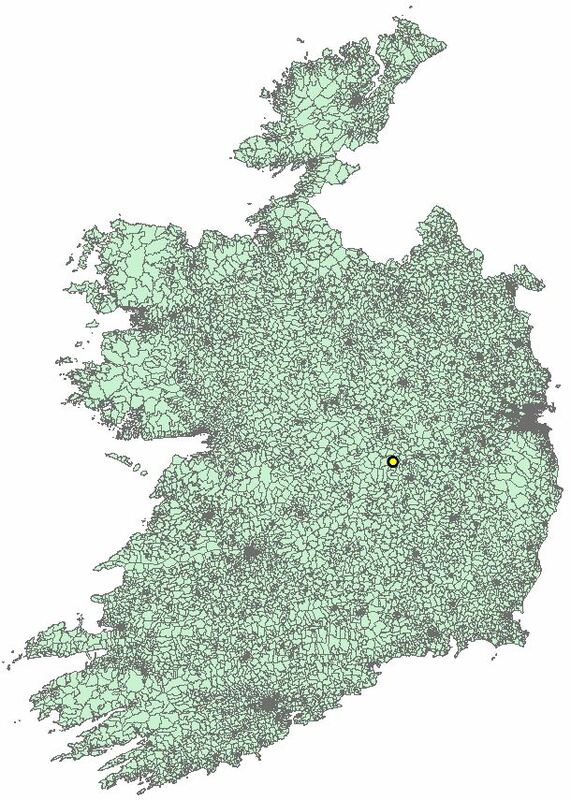 Download the Small Areas of Ireland from the CSO. You will have to acknowledge a disclaimer. 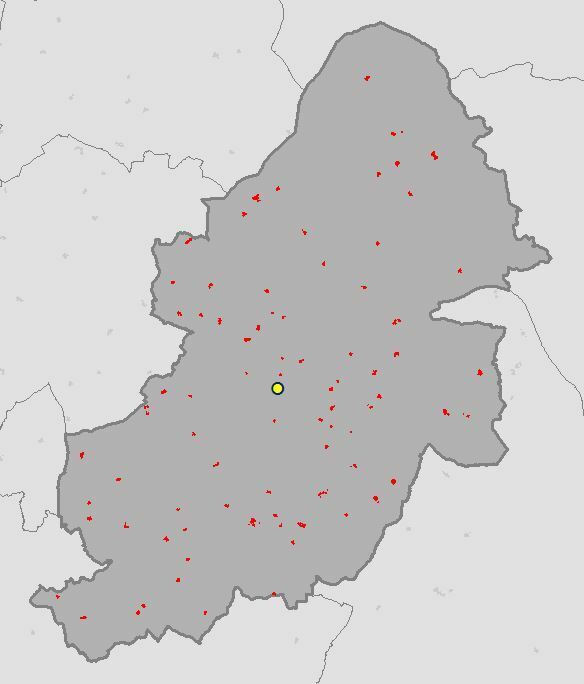 Once downloaded unzip Census2011_Small_Areas_generalised20m.zip to working folder. We will now begin to interrogate this Shapefile. tabulate will allow us to print out formatted tables. Using ogr we can access the inner workings of the downloaded Shapefile. Please note that osgeo and tabulate are not standard Python libraries and will need to be installed. Using the ESRI Shapefile driver we open the Shapefile in read mode (0) and access the data (lyr). If there is an EPSG code in the .prj file it will be printed instead of None. In this instance it is a polygon Shapefile. Let’s get some information on the data through the Layer Definition. But before we do we need to create a few list structures. These will be used to hold the accessed information and enable us to neatly print them to screen. Next we print out some attributes for a set of features, the first ten. 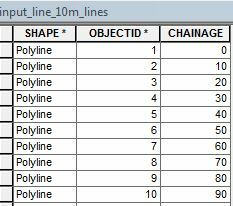 Use the commented out line if you want to print attributes for all features. Create an empty list to hold the attributes. Some fields contain characters from the Irish language so we account for this so that the attributes are printed correctly. I will add to these as I come across something useful. If you know of any neat things to add please comment below. Please also comment if anything is unclear or if this was useful to you. Also known as the Center of Minimum Distance, the Median Center is a location that is the shortest total distance to all features in the study area (not to be confused with the Central Feature, which is the feature that is the shortest distance to all others). It can be used to find a suitable location for something that needs to be centrally located. The Median Center will gravitate towards an area with the most features. The Median Center is good for finding the most accessible location. The is no single formula or equation for calculating an exact Median Center, according to Andy Mitchell it is an iterative process involving calculating the Mean Center, summing the distances from it to each feature, offsetting the center slightly and summing the distances again until it eventually zones in on the optimum location that has the lowest sum. The code below implements the Yehuda Vardi and Cun-Hui Zhang algorithm or the Weiszfeld algorithm. Logan Byers from GIS StackExchange who aided in speeding up the computational time using NumPy and for forcing me to begin learning the wonders of NumPy. orlp from Stack Overflow for their implementation of Yehuda Vardi and Cun-Hui Zhang’s algorithm for the geometric median. Daniel J Lewis (I think) for the implementation of the Weiszfeld algorithm. Running the script from The Code section above calculates the coordinates of the Median Center for Secondary Schools in Birmingham and creates a point feature class in the File GDB. The Central Feature is the point that is the shortest distance to all other points in the dataset and thus identifies the most centrally located feature. 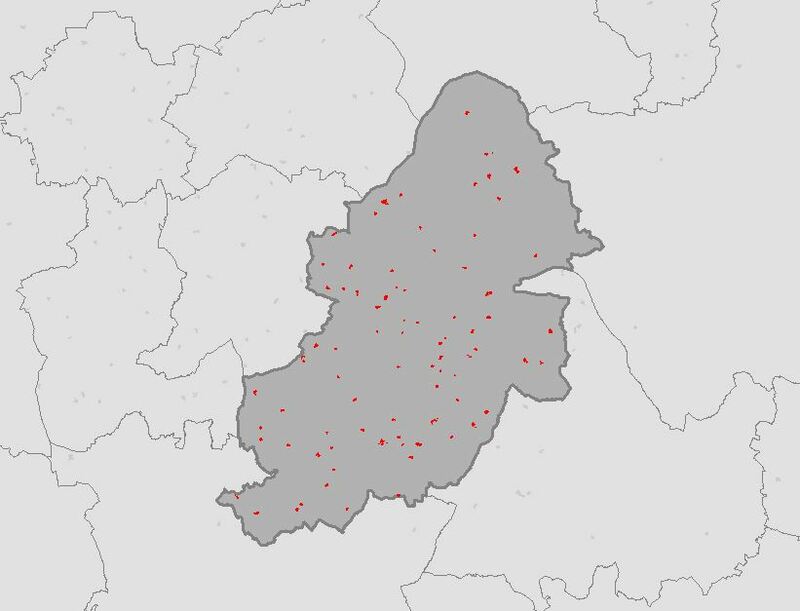 The Central Feature can be used to find the most accessible feature, for example, the most accessible school to hold a training day for teachers from schools in a given area. For each feature calculate the total distance to all other features. The feature that has the shortest total distance is the Central Feature. I’d like to give credit to Logan Byers from GIS StackExchange who aided in speeding up the computational time using NumPy and for forcing me to begin learning the wonders of NumPy. At the moment this is significantly slower that performing the same process with ArcGIS for 20,000+ features, but more rapid for a lower amount. 1,000 features processed in 3 seconds. Running the script from The Code section above calculates the coordinates of the Central Feature for all Secondary Schools and creates a point feature class in the File GDB. Here’s a little function for exporting an attribute table from ArcGIS to a CSV file. The function takes two arguments, these are a file-path to the input feature class or table and a file-path for the output CSV file (see example down further). First import the necessary modules. Inside the function we use ArcPy to get a list of the field names. We then open a CSV file to write the data to. The first row of the output CSV file contains the header which is the list of field names. We then use the ArcPy SearchCursor to access the attributes in the table for each row and write each row to the output CSV file. And close the CSV file. print csv_filepath + " CREATED"
Feel free to ask questions, comment, or help build upon this example.